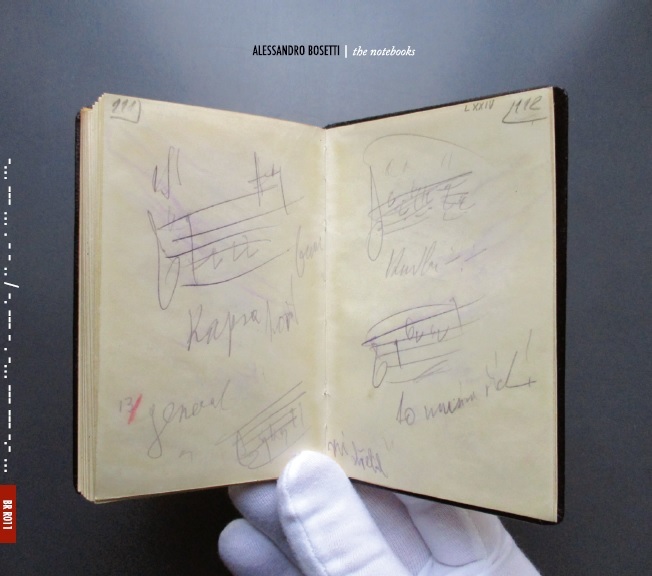 New interpretations of known scores are as old as the hills, but on Notebooks, composer Alessandro Bosetti provides a superlative rewriting of music history at the atomic level, sourcing his latest work not in the scores but the notebooks of Czech composer Leoš Janáček. Noted for his prolific writings in many genres, Janáček’s graphomaniac data collection, on the current evidence, appears to have bordered on obsession – one as purposeful as Beethoven’s, but notably less documented. Until now. Bosetti, whose fascination with the musicality of language and voice has inspired noteworthy works like Plane / Talea, intersects with Janáček’s relentless documentation of utterances animal and human, captured in town, country and factory; matches each with a discrete melodic accompaniment – a tic-like phrase for piano, keyboard and electronic effects that arises, passes and repeats spasmodically, mirroring the vocal structure at the suprasegmental levels of stress and intonation; breathing life into these dormant pages. Initial listens yield disjointed but notable events, but patterns soon reveal themselves; bubbling over time into a hearty polyglottal, polyphonic stew. Bosetti is an inspired conceptualist, and this work is as formidable as anything else he’s worked on lately; capturing the light bulb frenzy in which Janáček might have compiled all of these ideas, and arriving at a cohesion all of its own. He even steps up his game in Dante and Beatrice, adding trial by storm and shower to the tumult, and electrifying the already roiling tumble of words, notes and phrases.